Delacorte Press Books for Young Readers, 9780385741866, 289pp. The second book in the series! 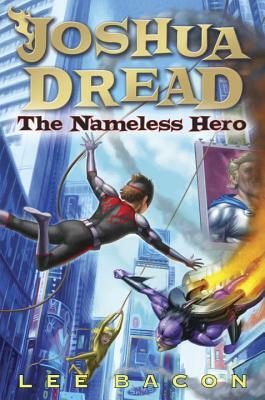 From the moment Joshua Dread receives an invitation to Gyfted & Talented, the mysterious program for kids with superpowers, his plans for a normal summer turn upside down. Evil maniac Phineas Vex is still alive—and he wants Joshua dead. So if G&T can help prepare Joshua for battle, he's all in. And so are Sophie and Milton. Except they get more than they bargained for. The truth is that Joshua and his friends have been chosen to form the greatest superhero team of all time. That is, if they make it through G&T's rigorous training. Suddenly Joshua is thrust into the media spotlight, and it's not as glamorous as people think. And what will happen if his supervillain parents find out that the new celebrity superhero is . . . Joshua? No one ever said fighting evil would be easy. LEE BACON grew up in Texas with parents who never once tried to destroy the world (at least, not that he knew of). He is the author of the Joshua Dread series and lives in Brooklyn, New York.